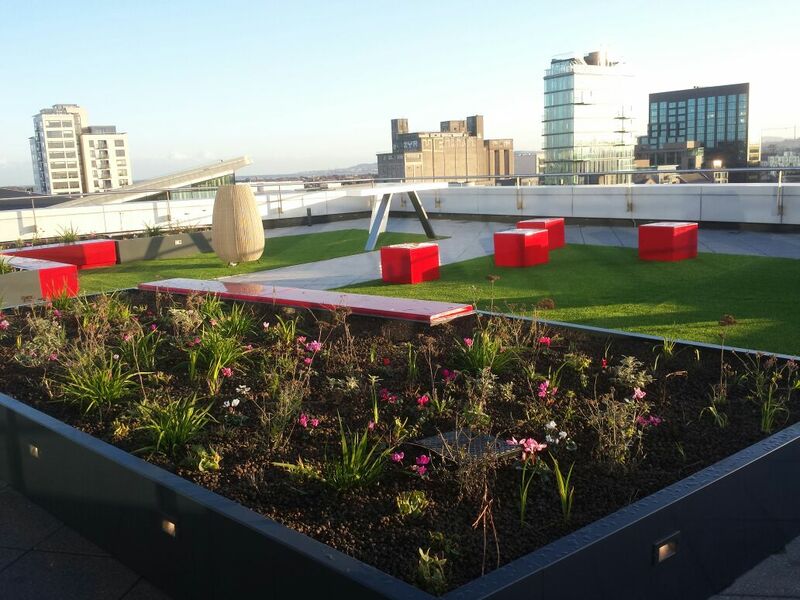 We just completed another roof garden overlooking the very impressive Grand Canal Square. This one, being the third one in two years which we have installed around the square, is on the seventh floor and was part of a major new office fit-out project for William Fry Solicitors. The garden was designed by Celia Harris of Mitchell and Associates as was the previous roof garden in Grand Canal (for the new Facebook Offices). The challenge again was a logistically one of getting all the elements of the garden, including 40ton of soil/compost, planters, synthetic lawns and plants up to the seventh floor level by means of the goods lift in the building. 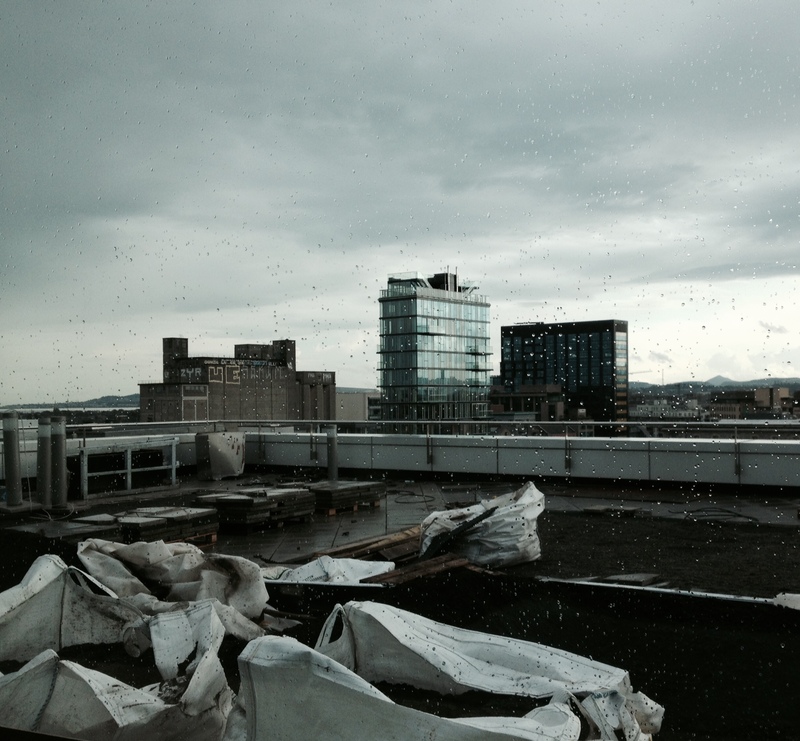 The garden surrounds the meeting rooms and offices and provides amazing views over the Dublin skyline for the staff to enjoy. The planting mix, being predominately herbaceous plants, will provide a spectacular display throughout spring, summer and autumn. Installations of roof gardens has become a substantial part of our landscape works over the last 10 years, allowing us the privilege of experiencing some of the most spectacular views over Dublin and monitor its development. As you can see from the before photo below, the site was more than a little grey and dispiriting when we started!